He has achieved good collaboration with multicultural SMEs in the United Kingdom, with respect to mentoring and working on joint professional development on ICT enterprise programmes. He has experience of doctoral research supervision and consultancy as well as doctoral external examiner for various Universities both in the UK and internationally on Information Risk Management and applicable computing in Smart Cities and Healthcare. 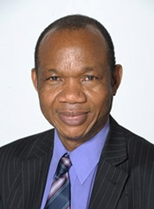 Ezendu is author of a number of books and papers published in international journals and conference proceedings. He has also delivered keynote speeches at various international conferences. He recently published a book on Green Technology Applications for Enterprise and Academic Innovation, Publisher: IGI Global, USA. ABSTRACT: Green Technology applications for industrial Management and Engineering Sustainability remains an essential aspect of providing effective portfolio for delivering cost savings systems for smart cities that will enable the achievement of energy saving, carbon reduction and environmental sustainability. The issue of virtual usability and industrial management awareness strategy may result in achieving excellence in energy efficiency and usage, environmental considerations and energy re-use strategic models for smart cities. The return on investment (ROI) as strategic outcome of green application model may restore and create value analysis for organisations with huge energy wastage without thinking of cost, environmental impact and carbon emissions. Smart Cities will benefit from the effective deployment of cloudization, ipodization and neurodiversity of creative computing applications through the concept of delivering virtual services and internet of things medium using consumer electronic devices to achieve competitive edge with respect to cost savings, improvement of performance, efficiency and effectiveness. The services may focus within the different service platforms strategized within the nanotechnology and cloudization domain. Full Professor in Technologies and Production Systems School of Engineering, Politecnico di Bari (2000 - today). Head of the Rapid Prototyping and Reverse Engineering Laboratory and of the MICROTRONIC-Micromachining, Micro 3D scanning and Micro-measurement Laboratory of the DMMM – Politecnico di Bari. Master Degree in Mechanical Engineering (23/07/1981), Associate Professor (1992-2000), Assistant Professor (1984-1982). • "Doctor Honoris Causa" conferred by the Academic Senate of the Politechnic University of Tirana – PTU (Albania - October 16th, 2009). • Fellow for life since 2006 of CIRP – Collège International pour l'étude scientifique des techniques de Production mécanique, now International Academy for Production Engineering. • Deputy Dean of the 1st Faculty of Engineering (2010-2012), Politecnico di Bari, former Deputy of the Rector for European Project, Rector's Delegate for the Evaluation of Educational and Research Activities, Director of the Master Degree Course in Mechanical and Industrial Engineering, Vice Director of the Department. • Member of the Editorial Board of the "CIRP Journal of Manufacturing Science and Technology", edited by Elsevier Science. Since the year 1981, he is involved in several research projects funded by the Italian Minister of Public Education, the Italian Minister of the Scientific and Technological Research, the National Council of the Research, on: 3D scanning and measurement of micro components, Rapid Prototyping, Reverse Engineering, Manufacturing Processes, Computer Aided Manufacturing, Process Planning, Feature Technology, Non Traditional Manufacturing (Laser Processing), Welding, Heat Treatment, Forming processes simulation, Manufacturing System Analysis and simulation, Biomechanics, Anthropometry. Abstract: Additive manufacturing (AM) is going to have a fundamental role in the reconfiguration of the conventional industrial paradigm. There are, indeed, several advantages characterizing those technologies if compared to the conventional ones, ranging from the possibility to fabricate complex shapes and, generally, products, which are not either possible or cost-effective to manufacture through conventional manufacturing techniques, to the possibility to use large variety of materials with different performances. The concurrent development of hardware, software and the intense research for adopting new materials, from polymers, to metals, ceramics and composites, has been key of success of AM technologies, so that multi-material components become possible, broadening the application fields. In particular, the aerospace, the automotive, the biomedical and digital architectural design are the industrial sectors with the greatest interests towards AM processes. These are, indeed, the industrial sectors most inclined to customization of products, as well as, the direct fabrication of functional end-use products, which are other fundamental trends of AM processes. For these reasons, AM technologies have been enthusiastically welcomed by some of the world's biggest companies, such as Airbus, Boeing, GE, Ford and Siemens. All this concepts are well embedded within the paradigm of Industry 4.0. 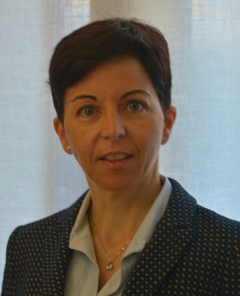 In this speech, some of the most recent developments promoted by the leading companies in the field of additive manufacturing and the main innovation regarding new technologies and materials will be discussed, with the focus on the industrial applications of AM techniques. .
Patrizia Garengo is Associate Professor (qualified full professor in 2017) of “Business management”, “Business Economics and Organizational management” and “Performance measurement” at the University of Padua (Italy). She is Faculty member of the Doctoral School of Management Engineering, member of the Research Commission of the Department of Industrial Engineering and Delegate of the Rectors for the ITS Foundations. She is involved in a number of research projects on technology transfer, performance management and Industry 4.0 as means of supporting improvements in organizational capability in SMEs. Her research philosophy is based on case studies and action research, where research based on solid theoretical foundations is supported by empirical data. She is giving a significant contribution to the field of performance measurement and organizational development in SMEs. She has won two international awards from the Emerald Literati Network. She is Member of the Editorial board of prestigious international journals (such as Production Planning and Control, International Journal of Productivity and Performance Management) and Consulting Editor of the International Journal of Management Reviews. To date she published two books, more than 100 journal papers and contributions to conference proceedings. Speech Title: Performance Management and Industry 4.0: Where are we? What next? Abstract: Whilst the important role of the Industry 4.0 phenomenon on organisations is widely recognised by scholars and practitioners, its impact on Performance Measurement and Management Practices (PMM) is rarely explored. In fact, there is a large consensus concerning the fact that Industry 4.0 investment will significantly affect the way we manage the performance of our businesses, operations and supply chains. However, despite the relevance of new business trends and their impact on all managerial practices, the literature does not provide sufficient insight into understanding how Industry 4.0 impacts on Performance Measurement and Management Practices. Hence, the aim is to reflect on the relationship between Performance Management and Industry 4.0, in order to understand where we are and what could be next. In this context PMM refers to performance measurement systems (i.e., what we measure) and performance management practices (i.e., how we use these measures) to assess the potential impact of Industry 4.0 on both social and technical control.